Know The Signs Of a Gas Leak. Gas lines are never anything to mess around with. If there is a possibility that you need to have a gas line repair done, call All About Plumbing & Septic, right away so that we can come and get it taken care of for you. When gas lines are put in, they are inspected several times before the final product is completed. This is because a gas leak or break can be extremely dangerous to the health and well-being of yourself and those around you. 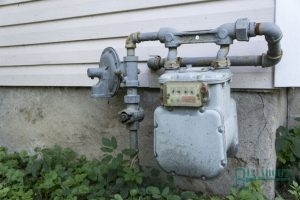 A gas line is a pipe that connects natural gas to different appliances or the main supply in your home or business. 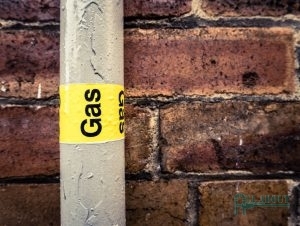 When a gas line becomes damaged, it can spill natural gas out into the air and cause a lot of problems. One of the biggest ones is that gas is extremely flammable and is dangerous to be out in the open like that. Knowing the signs of a gas leak can actually save your life in the end so if you have gas in your area or in your home, always pay attention and be aware. If you need a gas line repair in Mills River, Hendersonville, and Asheville, NC, call us at 828-778-2425, and we will get to you right away to find the source of the leak and do the repair. We are available 24 hours a day so that if you ever have an emergency, you will be able to get a hold of us and get help as quickly as possible. Smell – The first thing you will probably notice is a weird smell. Natural gas has an additive that smells like sulfur or rotten eggs. This is a smell that will be distinct and you will usually know that there is gas leaking into your home somewhere. Illness – If you have a persistent gas leak that has been in your home for a while, you likely do not feel well. Things like headaches, nausea, chest pain, and lack of appetite are common when you are breathing in gas fumes. Depression – If you are breathing in gas for a long period of time, you may start to feel depressed. This is because of the chemicals in the gas that will begin to affect your brain. You need to take this seriously and take yourself out of that situation right away. Dying Plants – If suddenly your lively plants are starting to shrivel up and die right before your eyes, it could be a gas leak. If gas is doing this to your plants, imagine what it is doing to your body. When there is a gas leak, you need a gas line repair as fast as possible. You should also know the steps to take ahead of time so that if you do find yourself in a situation where you need to call someone, you will know what to do. Before anything happens, you want to leave your home or business right away. If you smell gas, it means that it is leaking out from somewhere. If you are at home and your stove is off or anything that could have been left on by accident, is all turned off, you need to leave. Grab anything in your home that is living, that means all animals and any family that is in the home with you. If you are in an office building, you need to have all employees evacuate as quickly as possible. Do not use anything that would be considered flammable. That means not lighters, electronics, light switches, nothing. Gas is extremely flammable and can be triggered easily. You do not want to mess with any kind of electronic, not even to switch off a computer because it could very easily cause an explosion. If you have opened windows, leave them open. Also, leaving the door open when you leave is a good idea. This will help you air out the gas and get some ventilation in the area of the leak. As soon as you are in a safe area, you will want to call 911. This will allow the police to come out and help get other people out of danger and keep the area clear so that if anything happened, nobody would get hurt. We are experts in gas line repair, so if you are dealing with any kind of gas problem, make sure you call us as soon as you are in a safe place. It doesn’t matter what time it is, we will be available. Having Your Gas Line And Meter Checked Will Help Keep Your Home Safe. Having a damaged gas line can seem scary, but the professionals at All About Plumbing & Septic, are here to help you. If you need a gas line repair in Mills River, Hendersonville, and Asheville, NC, call us at 828-778-2425, and we will be there for you as quickly as possible. Updated on January 22, 2019 at 11:08 am by All About Plumbing.